The artist Alexander Federley studied from 1882 to 1885 at the Finnish Art Society’s Drawing School in Turku. Between 1885 and 1889, he continued his studies in Helsinki. In 1891, he travelled to Paris and studied at Académie Julian for three years. 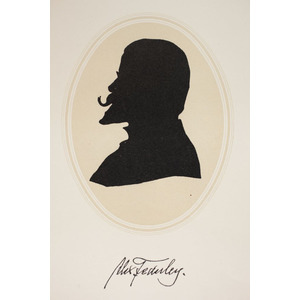 Alexander Federley was one of Finland’s first poster artists and he has also designed some fifty of Finland’s first postcards. He also illustrated a number of great works, including among others, The Tales of Ensign Stål, one of the important literary works of Finnish nationalism. Furthermore, Federley played a significant part in the development of the first Finnish travel literature. He illustrated two works by the travel-writer August Ramsay, ”På sommarfärd i kanot” (1890) and ”På sommarvandring” (1891). Alexander Federley’s archive is kept at the National Archives of Finland. There you can find, among other things, the moving and well-written letters from Paris that Federely wrote to his mother.